The secretary of state is a staunch supporter of the Second Amendment – and he said the incident at his home is an example of why Americans should bear arms. “The Second Amendment is the private property owner’s last resort,” he said. Kobach said he’s asked local police and the county attorney to investigate the incident. He believes a number of laws were violated including terrorizing a public official. The county attorney did not return calls seeking comment. 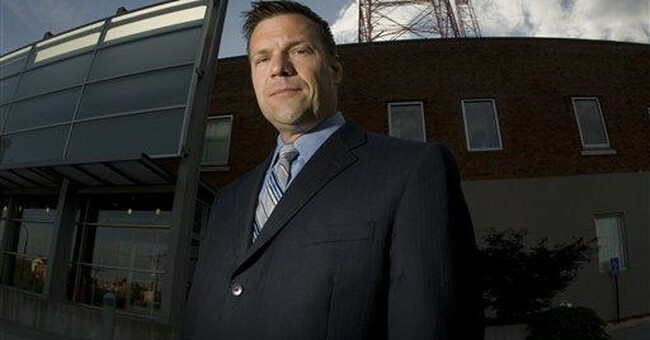 Kobach said he will not be silenced by the weekend mob-action. And he also leveled a warning to would-be protesters. “Don’t come to my home and don’t scare my family,” he said.